The work of Norman Norell belongs within the exciting forefront of American fashion. From his first Traina-Norell collection in 1941 to the designer's death in 1972, Norell worked within a design vocabulary that presented his vision of the well-heeled American woman. While other American designers such as Claire McCardell presented an American sensibility primarily by redefining sportswear, Norell took a different approach in his career. 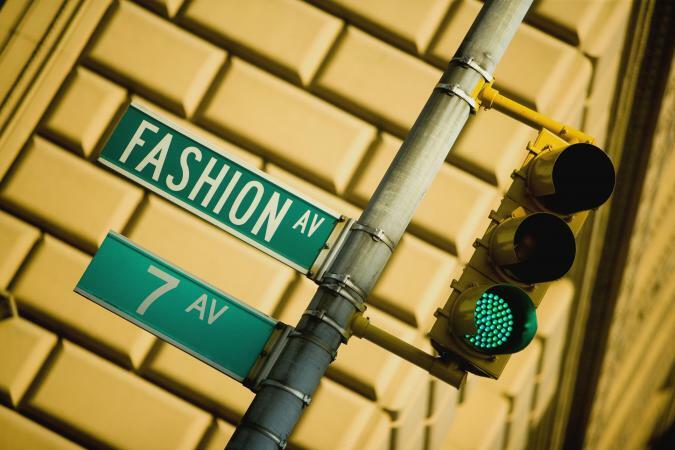 He is credited with appropriating the quality and workmanship of French couture and applying these features to clothes produced on Seventh Avenue. Norell put an American twist on his highly sophisticated suits and dresses by adding polka dots, sailor collars, and schoolgirl bows. Fashion reports during Norell's career often claim that as an American designer Norell created certain styles, such as culottes and high-waisted dresses, ahead of his French contemporaries. Norell was a masterful fashion designer who used Seventh Avenue as the unlikely venue for his precisely made and wildly expensive clothes. Norell was born Norman David Levinson, in Noblesville, Indiana, on 20 April 1900, the son of Harry and Nettie Levinson. As a child his attention to fashion derived from his mother's style of dress and her collection of fashion magazines; his father's haberdashery store in Indianapolis; and his early interest in clothes, interiors, and the theater. At the age of eighteen Norell went to New York City to attend the Parsons School of Design. Whether Norell actually attended Parsons or not for the year he claimed (Parsons cannot find any record of his enrollment), Norell's relationship with the school developed with his success, and Parson's claimed Norell as one of its illustrious graduates. Following a year spent back in Indianapolis opening a batik shop, Norell returned to New York to study at Pratt Institute in Brooklyn. At this time Norell created a new name for himself by combining the first syllable of his first name with the sound of the initial letter of his surname. From his studies of fashion illustration, drawing, and painting, Norell eventually discovered his métier in fashion and costume design. After finishing his studies at Pratt, Norell held a progression of jobs. In 1922 he worked for the film industry in Astoria, Queens, designing costumes for Rudolph Valentino in The Sainted Devil and for Gloria Swanson in Zaza. His career in theatrical costume design continued with stints designing for the Ziegfeld Follies and the Greenwich Village Follies, and at Brooks Costume Company, where he created costumes for burlesque, vaudeville, and nightclub revues. Norell's shift to women's clothing occurred in 1924, when he was hired by Charles Armour, a manufacturer of women's apparel. During the years that Norell worked for Hattie Carnegie (1928-1940), he had the invaluable opportunities of traveling to Europe, studying the construction of French couture dresses, and working with Carnegie's glamorous clients. Following a disagreement with Hattie Carnegie over a dress for Gertrude Lawrence in Lady in the Dark, a Broadway production, Norell left the firm and joined Anthony Traina, owner of A. Traina Gowns. Norell is often quoted as saying, "Mr. Traina called me and asked me to join him. He offered me a larger salary if my name were not used, a smaller amount if it was" (Morris, p. 46). Norell chose recognition over financial gain. Name recognition also served Norell in 1968 when he launched his perfume, "Norell." From its inception in 1941 to Traina's retirement in 1960, Traina-Norell produced dresses, suits, and evening wear that combined an up-to-date sensibility with a feeling of timelessness. The label of Traina-Norell was formed with Anthony Traina as businessman and Norell as his employee, solely responsible for the designs of the collections. Of the first Traina-Norell collection, Bonwit Teller declared in Vogue, "The House of Traina-Norell comes on the season like an electrical storm. Its designer, young Mr. Norell, creates a collection so alive that everyone's talking" (Vogue, 1 October 1941, p. 5). Women purchasing a Traina-Norell garment were buying, at great cost, an American-made status symbol that would likely remain in their closets for decades. The high-class status of a Traina-Norell dress is invoked in the 1957 film Sweet Smell of Success, a reference known to audiences of that time but likely lost on most viewers today. During the heyday of Traina-Norell, Norell established the basic designs that carried him through his career. The designer's body-fitting, sequined gowns, known as "mermaid dresses," were first shown in the 1940s. His chic shirtwaists, suits and chemise dresses, beautifully tailored coats, and clothes featuring polka dots, white schoolgirl collars, and oversize bows all became signatures of Norell's style. A Harper's Bazaar caption (March 1951) to a Norell ensemble captures it well: "American Style-sharp and clean, a parlormaid's collar and cuffs of snowy organdie on a fitted jersey top, a snowy skirt, a streak of patent leather, and a red, red rose." Following Traina's retirement in 1960, Norell opened his own firm, Norman Norell, New York. For its first collection Norell took his inspiration from the 1920s and his favorite designer, Chanel. Slinky, spangled evening dresses combined 1920s straight silhouettes with modern opulence. Also included in this premier collection was the wool culotte suit, considered revolutionary when it appeared. Vogue proclaimed (1 September 1960), "Now, for the first time in the history of modern fashion, a first-rank designer has based an entire suit-collection on the divided skirt" (p. 187). Through the 1960s until his death in 1972, Norell continued to present elegant clothes of exemplary quality. His classics of sweater tops with evening skirts, chemise dresses, sequin-paved dresses and blouses, the sailor look in various guises, and ensembles mixing dressy satins with menswear flannel, had an ongoing prestige and allure that catered to his wealthy clientele. Norell's talents were recognized in the early years of Traina-Norell. 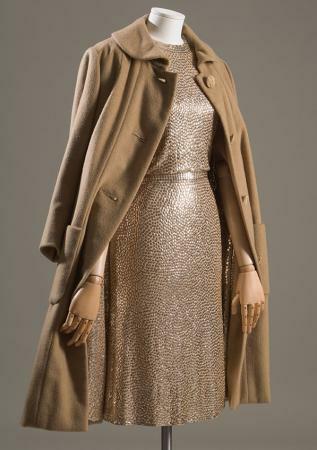 In 1943 he was the first designer to win the Coty American Fashion Critics' award; he won it again in 1951, and in 1956 was the first designer to earn a place in the Coty Hall of Fame. Norell was a founder and first president of the Council of Fashion Designers of America in 1965. His clothes have been featured in numerous exhibitions, most recently Norman Norell at the Fashion Institute of Technology (1998) and Architects of American Fashion: Norman Norell and Pauline Trigère at the Wadsworth Atheneum (2002). Norell suffered a stroke on 15 October 1972, only one day before his retrospective at the Metropolitan Museum of Art. He died days later on 25 October 1972. A statement made by Norell in the early 1960s encapsulates the designer's career, "To qualify as a designer one should not be afraid to repeat a good design, and certainly must have his own signature" (Kellen Archive Center, Parsons School of Design, Alumni Scrapbook 5). Norell followed these maxims to great success. See also Chemise Dress; Film and Fashion; Shirtwaist; Spangles. Baker, Therese Duzinkiewicz. "Norman Norell." In Contemporary Fashion, edited by Taryn Benbow-Pfalzgraf. Detroit: St. James Press, 2002. "Break-Through in Fashion: The Culotte Suit for City Wear." Vogue (1 September 1960). Jacobs, Laura. "No One But Norell." Vanity Fair (October 1997): 356-367. Lambert, Eleanor. World of Fashion: People, Places, Resources. New York and London: R. R. Bowker Company, 1976. Lee, Sarah Tomerlin, ed. American Fashion: The Life and Lines of Adrian, Mainbocher, McCardell, Norell, and Trigère. New York: Quadrangle/New York Times Book Company, 1975. Levin, Phyllis Lee. The Wheels of Fashion. Garden City, N.Y.: Doubleday, 1965. Milbank, Caroline Rennolds. Couture: The Great Designers. London: Thames and Hudson, 1985. --. New York Fashion: The Evolution of American Style. New York: Harry N. Abrams, Inc., 1989. Morris, Bernadine. "Norman Norell, Designer, Dies; Made 7th Ave. the Rival of Paris." New York Times, 26 October 1972. Roshco, Bernard. The Rag Race: How New York and Paris Run the Breakneck Business of Dressing American Women. New York: Funk and Wagnalls, 1963. Williams, Beryl. Fashion Is Our Business. Philadelphia and New York: J. B. Lippincott Company, 1945.